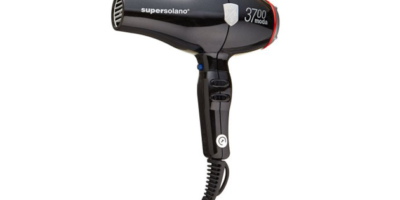 Are you looking for a new lightweight hair dryer that is easy to handle and does a great job on curly hair? Well, then you definitely will want to read along with me here as I do a full review on this nice little hair dryer from InStyler. They claim it is one of the best hair dryers ever made. That is a pretty big boast so I really want to take a closer look at this hair dryer to see if its performance can match its hype. Sure this model hair dryer generates some high heat with all that 1500 watts of power but it also stirs up some incredible airflow too. It does no good to have a high heat dryer if it can’t get that heat to where it’s needed quickly. That’s no problem for the InStyler BLU Turbo Ionic Dryer thanks to its high compression fan motor which produces air speeds up to 1500 liters per hour. In addition to its great airflow, it also has an ‘infinity airflow switch’. That is the companies way of saying you just the airflow with a dial exactly where you like it instead of having just two or three airspeed selections to choose from. This InStyler hair dryer also has very advanced ceramic/tourmaline infusion built into it. Tourmaline crystals are well-known for being able to help hair maintain its moisture better and that helps it nicely retain its shine too. Ceramic coated parts are beneficial because they produce very even heat that does not build up in one area of the air stream and cause damage. The InStyler BLU Turbo Ionic Dryer is also very lightweight. Even salon professionals will have no problems using it for extended periods of time because it weighs only 13.2 ounces. This 1500 watt hair dryer from InStyler only has two heat settings that you can select from and they are moderately-hot and hotter. You get the idea. It’s a hair drying product that likes to throw a lot of heat out and that is good because that is exactly what you need to dry and style sometimes stubborn curly hair. Even the moderately-hot setting is capable of helping you style any shape any type of curly hair. As with any hair drying product this one was not perfect either. 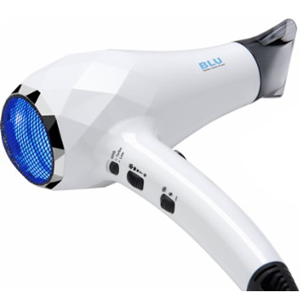 For instance, if it is meant to be a shared hair dryer or used in a salon you would not want to use it on fine hair. The amount of heat that comes out of it is most likely too strong for that type of hair. Another disappointment with the InStyler BLU Turbo Ionic Dryer is that it’s light enough to be a travel dryer but it does not always work for that if you like to take your hair dryer with you to different countries. That is because InStyler did not make this a dual voltage model hair dryer. This hair dryer really does give you some real advantages when you are using it to dry and style curly hair. It’s not the most versatile model hair dryer but you really don’t need it to be when it comes to using it on curly hair. You just need high heat and good airflow and the InStyler BLU Turbo Ionic Dryer definitely has both of those things covered well. Its ceramic tourmaline technology helps to protect hair while throwing all that high heat at it and its lightweight design makes it very easy to control while you are doing so. 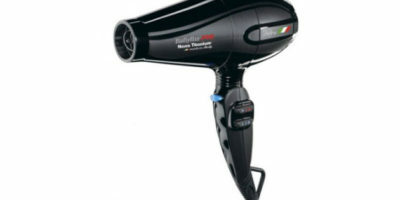 If you work in a salon or have curly hair this is not a bad model hair dryer for you to think about purchasing at all.